Once you’ve decided to buy a new car, making a choice is indeed difficult these days with so many options available. It becomes even more difficult when you can’t decide between two models from the same brand. It happens with a lot of people who cannot decide between the Maruti Suzuki Baleno and the Maruti Suzuki Dzire. Although the form and certain other things are different, both cars are also similar in a lot of areas. If you are stuck in a similar dilemma, allow us to help. Both cars are powered by the same set of 1.2 petrol and 1.3 diesel motors. Even the power figures are similar. 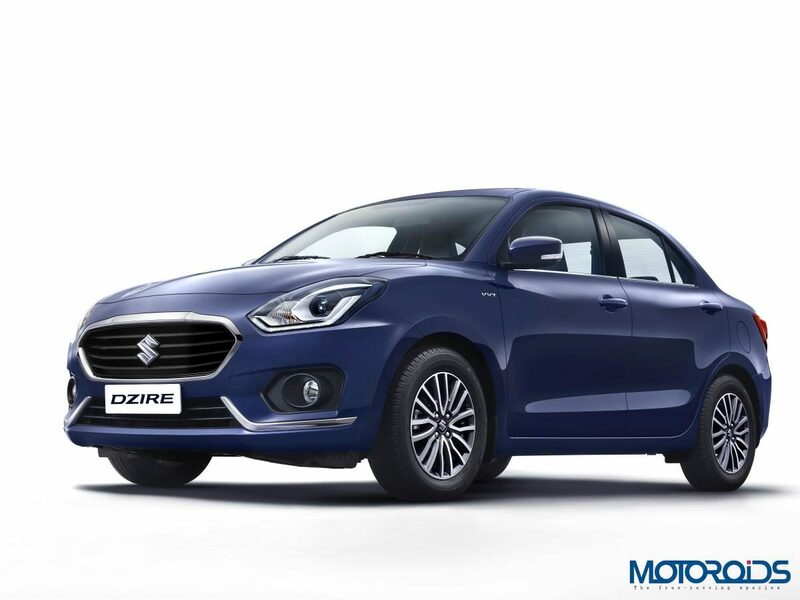 However, where both cars offer 5-speed manual gearboxes, the Dzire offers the option of an AMT transmission for both the engines. On the other hand, the Baleno offers a CVT option for the petrol engine while the diesel can only be had with a manual. 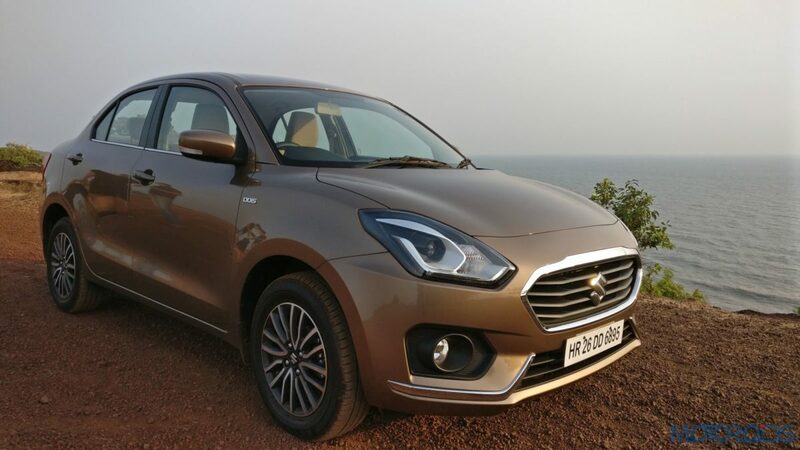 So if a diesel automatic vehicle is what you need, the Dzire offers you that choice. At 37 litres, both cars have identical fuel tank capacity for both the engines. 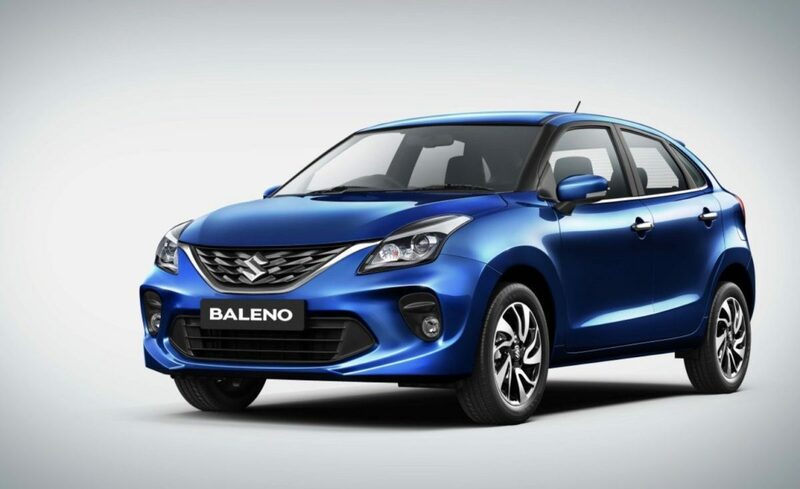 The Baleno is rated for a company-claimed efficiency number of 21.4 km/l for the petrol engine (MT and CVT both). The diesel version of the hatchback is rated for 27.39 km/l. On the other hand, the Dzire’s petrol variant is rated for 22 km/l (MT & AMT), while the diesel engine boasts of 28.4 km/l (MT & AMT). In terms of on-road performance, since both cars share the same engine, architecture and weigh similar, there’s not much to differentiate. The steering’s behaviour is identical too, however, the Baleno feels slightly sportier to drive between the two. It’s rather simple to pick between the two once you’ve decided whether you want a hatchback or a compact sedan. The Dzire is a common sight on our roads and so is the Baleno. However, the one important differentiating factor is that unlike the Dzire, the Baleno isn’t bought to ply in the cab industry. Also, your buying experience is slightly richer if you settle for the Baleno as it is sold through Maruti’s NEXA outlets. Overall, for the image-conscious, between the two, the Baleno has more street cred than the Dzire. Get this, both cars are similar in length at 3995 mm. The Baleno, at 1745mm, is 10mm wider than the Dzire, which is 5mm taller than the hatchback. At 2520mm, the Baleno also has a longer wheelbase than the Dzire, where it measures 2450mm. Also explains why the Baleno has a roomier cabin and offers more leg space for rear passengers between the two. In terms of weight, the Baleno’s petrol variants have a kerb weight of 865-890 kilos (MT) and 910-935 kilos (CVT). The diesel variant weighs between 960-985 kilos. The Maruti Suzuki Dzire’s petrol variants weigh between 860-895 kilos, while diesel-powered variants tip the scales between 955-990 kilos. The Baleno’s lower variants come fitted with 185/65 tyres on R15 steel wheels, while higher variants get 195/55 rubber on R16 Alloy wheels. In comparison, the Dzire’s variants come fitted with either 165/80 rubber on R14 steel wheels or 185/65 rubber on R15 alloy wheels. The Baleno’s turning radius measures 4.9m, while the Dzire can turn around in 4.8m. Where the Dzire offers a Black-n-beige colour scheme for its cabin, the Baleno comes stitched up in all-black. However, the sense of roominess is better inside the Baleno and actual space is also more than what you’de get inside the Dzire. 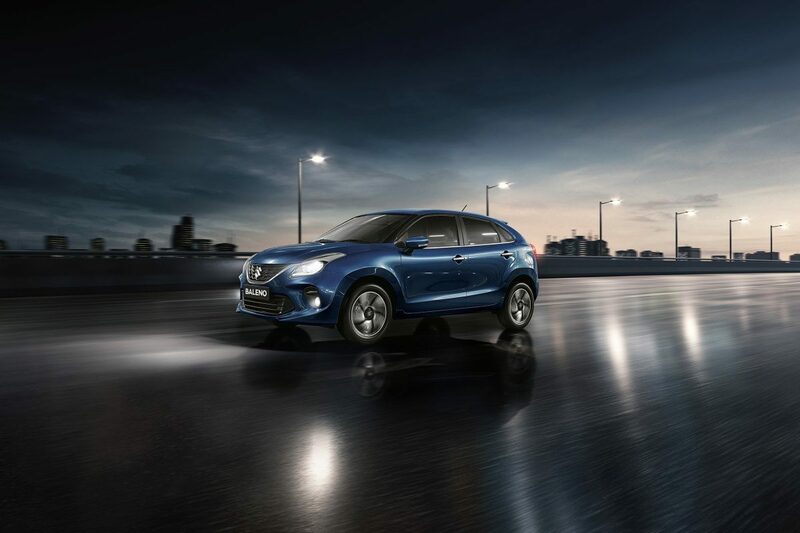 The sense of width is more inside the Baleno, which makes up well for the feeling of sitting closer to the ground. 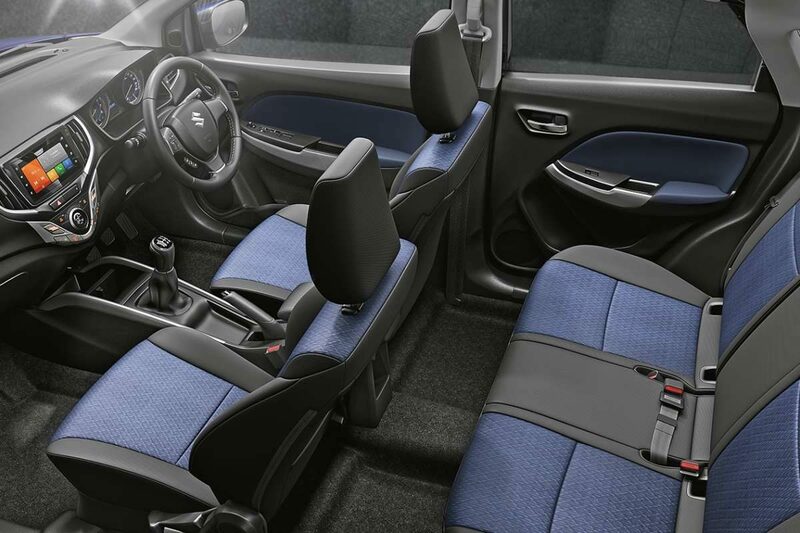 In the Dzire, you sit slightly higher and the light colour scheme inside the cabin elevates the idea of space. 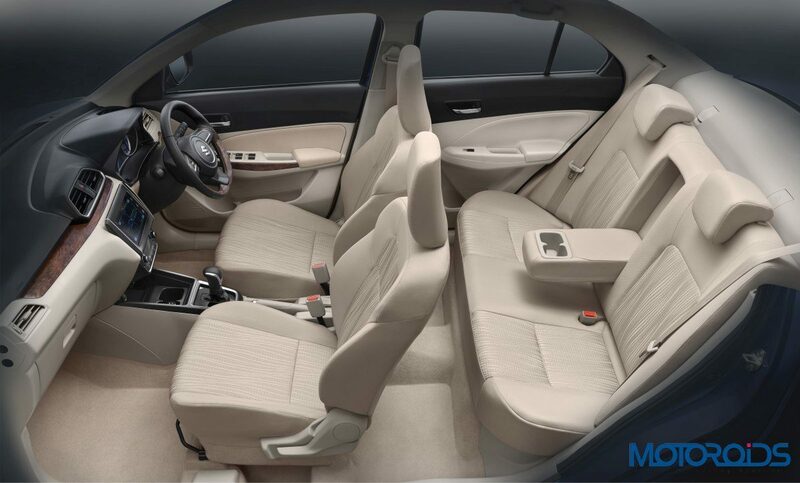 Seats inside both cars offer pretty good support, however, the Dzire’s rear seat offers an armrest with cup holders and a rear AC vent. Both aren’t available with the Baleno. But the latter does get a front armrest with storage, which the Dzire doesn’t. On the other hand, since the rear bench and backrest of the Baleno are flatter and the central hump isn’t tall, it offers more space for three abreast in comparison to the Dzire. The Dzire’s cabin feels more premium between the two, what with its flat-bottom wheel which also gets a faux-wood insert like the door pad and the dashboard. The Baleno makes up for the lack of luxe with the new Smartplay Studio system which hasn’t made its debut on the Dzire, yet. Also, the colour MID screen on the Baleno adds more youth to the Baleno’s appeal in comparison to the boring black and white display one gets with the Dzire. The Baleno gets tilt and telescopic adjustment for the steering, while the Dzire only offers adjustment for the tilt angle. In terms of boot space, the Baleno offers 339 litres, while the Dzire with its compact 3-box form offers slightly more room at 378 litres. However, where the Baleno offer a 60:40 split folding backrest to open up more luggage room, the Dzire’s backrest remains static. 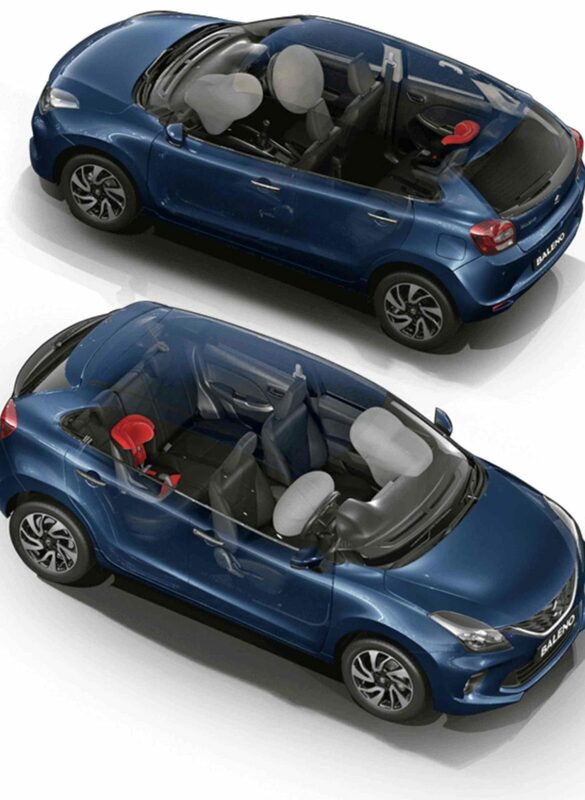 Both cars offer dual airbags and ABS with EBD as standard on all variants. But where the Baleno offers a rear defogger on all other variants except for the base model, the Dzire only offers this on the ‘Z’ trim level. Also, where the Baleno offers an Auto-dimming IRVM, none of the Dzire’s variants come fitted with one.